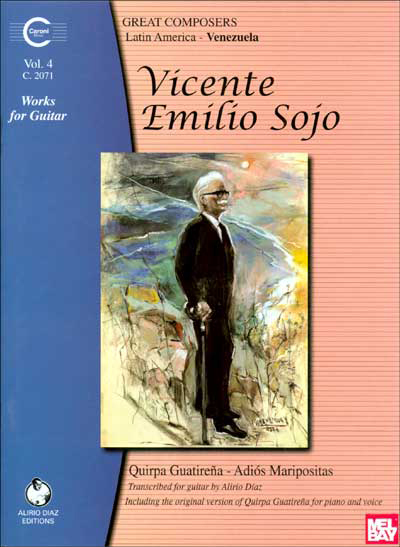 Vincente Emilio Sojo is one of the most influential composers in Venezuela’s history. He was not only a composer, but also a senator in the government. He composed many well-known works, and was one of the best music teachers of his time. These two Venezuelan dances have been transcribed for guitar by Alirio Diaz in standard notation only. The original version of Quirpa Guatirena for piano and voice is also included. Text is in English, Spanish, and French.